Richard Sherry has an amazing ability to entertain audiences with his magic and escape talents as well as his quick wit and sense of humour. Performing professionally for over 30 years, Richard has astounded audiences with incredible magic and terrifying escapes; many of which are his own creations. 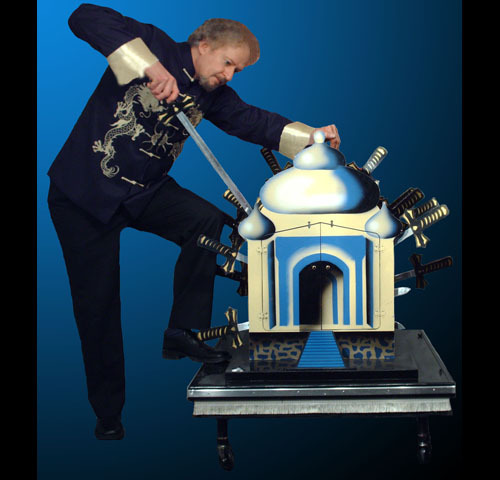 Richard is a world famous magic designer and builder and has created many spectacular illusions and escapes that audiences have never seen before. The most terrifying that he has created and also performed include the Phobia escape and the Fatality escape. 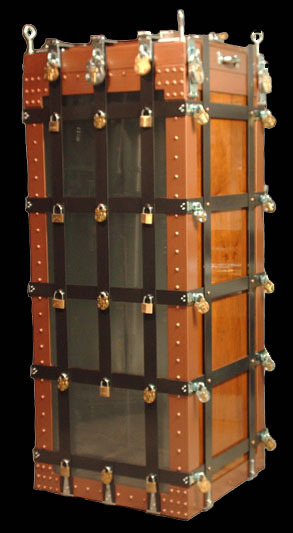 The terrifying Phobia escape was replicated from an original Sherry and Krall Magic video on the major motion picture Saw V. Other wonders that Richard has performed include the suspended straitjacket with a burning rope over a bed of spikes, severely locked and handcuffed and placed within numerous crates, trunk and coffins, the 85 gallon drum, the Water Torture Tank, the dreaded Milk Can and the Buzz Saw. Pieces created by Richard Sherry have also been placed in museums around the world. Richard's incredible skill as a builder and designer has earned him the title of the top Escape builder in the world. Many of the top names in magic come to him for his incredible creations. 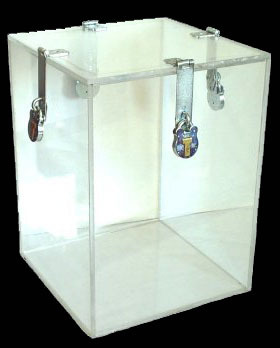 Richard's crowing achievement has been to build a virtually exact working replica of Houdini`s Chinese Water Torture Cell. 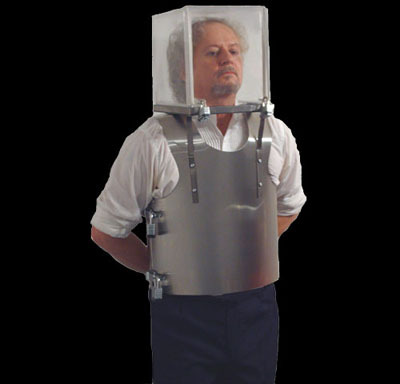 Dave Dorsett of Douglas~Wayne Illusioneering in Macomb, IL, USA had an opportunity many years ago to examine Houdini`s original Chinese Water Torture Cell before it was destroyed in a fire. Dave commented on the Richard Sherry replica and said the following, " I also wanted to say how impressed I was by your work on the Water Torture Cell… as the company beat out by Gaughan for the refurbishment and the marketer of the miniature repros, we had every opportunity to study the original. Your reproduction is phenomenal… better than the work John did on the restoration for Copperfield. You should be proud." On September 21 2012 Richard Sherry and Dayle Krall paid tribute to Harry Houdini by performing an exact working replica of Houdini's most famous escape, the Chinese Water Torture Cell. This tribute was also a celebration of the 100th Anniversary of the first performance of this incredible escape by Houdini on September 21 1912. The replica Water Torture Cell was created by Richard Sherry and is a testament to his incredible abilities as a builder. Richard is the first person in the world to create a replica of Houdini's exact Water Torture Cell and with the help of Dayle Krall performing it they have given live audiences of today a chance to experience a piece of history in the 21st century. Dayle Krall is the first person to perform Houdini's original style of Water Torture Cell since Houdini himself. Richard has performance experience with live audiences on stage, television, private functions and within the circus. Please click on a thumbnail to see a larger image of some of Richard's incredible creations.